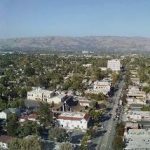 Santa Clara County will be experiencing major changes in its growth and development in the relatively near-term future. By the year 2030 (less than 15 years from now), the county’s population is projected to grow by roughly 300,000 more people (equal to two more Sunnyvales). Also, due largely to the aging of the county’s large, existing, under 65 population of Baby Boomers Generation over the next 15 years, about 2/3 of that growth is likely to end up occurring in the county’s senior population. By 2030, ¼ of Santa Clara County’s adult population is likely to be over age 65 – the largest percentage of seniors in our County’s history. And, in addition, because there is very little flat, readily-developable, vacant land in the remainder of the county, most of our future growth and development will be taking place through the redevelopment of already developed lands within the area from San Jose to Palo Alto to Milpitas. And, finally, due to the high cost of land, most of this future development will be occurring at higher densities and in the form of somewhat taller buildings. All together, these and other forces will bring major changes to Santa Clara County, generally in the form of making it a more urban place, with islands of higher density occurring within what will otherwise remain a predominantly suburban valley. Click here to continue reading and learn why the Eastern Stevens Creek Corridor Will Be an Epicenter of Change and the Implications (and contribute to the discussion).